Driving in Spain can be an absolute joy, provided you can handle the cities. 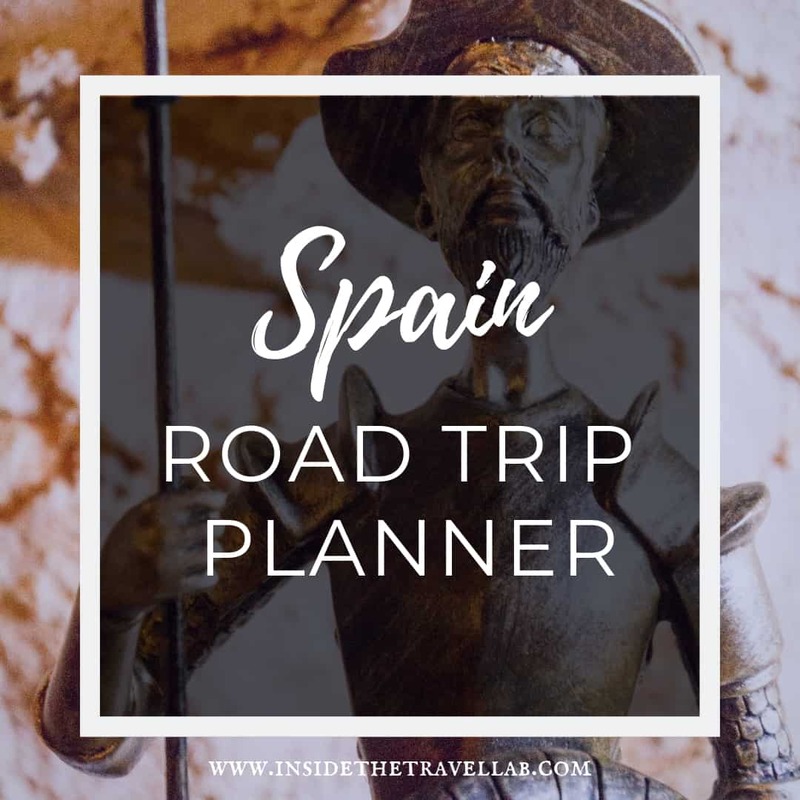 This Spain road trip planner gathers together my personal and professional experiences of driving through the Iberian peninsula to help you plan your fly-drive journey. There are so many unusual and beautiful things to do in Spain that you can't do it all in one go. Instead, I've suggested some key itineraries, some off the beaten track places and I've outlined areas where it's better to forget the car and travel by train. Spain Road Trip Planner: Viva Driving in Spain! 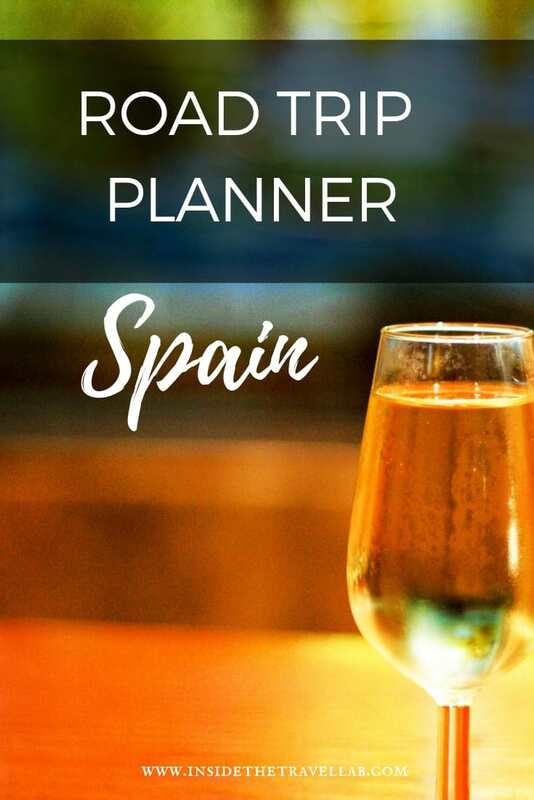 If you don't live in Europe and this is your one and only chance to visit Spain then here's an itinerary to see her highlights. But wherever possible, slow down and choose one of the others instead! Of all the places in the world, Spain is no place to rush. This itinerary will keep you busy - but you'll see some absolute beauty. Historical city centres in Spain were designed for pedestrians and, at a stretch, horses. They were not designed for cars! Be careful when following SatNav instructions into steep, old towns. You can find yourself unable to make some tight turns and then somehow need to reverse backwards down a narrow road. Stick to the main roads in town! Fiery and passionate Andalucia covers a lot of ground and a lot of landscape. Malaga is the biggest international airport but you can also fly into Seville and Granada with relative ease. You can easily fill two weeks with UNESCO World Heritage Sites like the Alhambra in Granada, the Real Alcazar in Seville and the unbeatable mosque turned cathedral in Cordoba. But a self-drive plan allows you to visit off the radar places and explore local traditions like joining the olive oil harvest in the mountains. This northern area of Spain swaps dry plains for rocky coves, lighthouses and saltmarshes amid the green. Famed for its seafood and the finishing point for the Santiago de Compostela, here you can't help but find an authentic side of Spain. As the largest Canary Island off the northwest coast of Africa, Tenerife is famous for its fly and flop beach holidays. But there are so many unusual things to do in Tenerife, from UNESCO World Heritage cities like Laguna to primitive biosphere reserves in Anaga. Barcelona is beautiful but I wouldn't be the first to notice that, well, other people have noticed too. Overtourism is a growing problem for this classical Catalan city yet the biggest shame is that it is surrounded by amazing places to visit. It's easy to travel to Girona by train, for example, but hire a car and you can explore the sandy coast by morning and hit up the mountains in the afternoon. You can even visit a corner of France, completely surrounded by Spain. While it would be madness to take a car into Madrid for no reason, pick one up at the airport and treat yourself to a literary, gastronomic and thoroughly authentic journey through this central part of Spain. Visit Toledo, another UNESCO World Heritage Site, gastronomic centre of excellence, and Spain's former capital and then take to the hills in pursuit of Don Quixote. Typically, it's best to pick up a vehicle at at the airport unless you have your heart set on exploring an historic city centre first. Most car hire companies are there. I rely on the AA Route Planner to give me times and directions in Spain. For a robust rundown of what you need to drive in Spain head to the Government website. From here you can check the latest recommendations and legal requirements. Many smaller, boutique hotels in the centre of cities will not have parking options. It's best to either park on the outskirts of town and walk in (in some places, such as Seville, taxis will struggle to get in as well) or if that's too difficult for you then book a hotel on the outskirts of town and use their transport to travel in. Outside the main cities that is. Gleaming wide main roads covered with smooth tarmac are the rule rather than the exception. Drive from Granada to Seville or Segovia to Merida and you’ll hardly see another car for miles. Low swirling mist rising over olive groves, intense sunshine hugging the contours of rust-red rock. Sparkling coastlines and white-washed towns with church towers spiking out of scorched plains. The green cloaked mountains of Galicia, the almond-scented mountains of Alpujarras and the Catalan curves of the eastern Pyrenees. Unlike driving in some countries, these views are visible from the windscreen of the car – you don’t have to wait until you park and get away from the roads. Not real ones, of course. But building-sized, black, one-dimensional bull cutouts. Apparently, these first appeared as part of an advertising campaign for sherry. They were due to be removed until people clamoured for them to stay. Now, they add to the fun, as you never quite know when the next one will appear. Forget about crisps, biscuits and overpriced coffee. Most petrol stations along the road in Spain are family run affairs with a chef on site. Coffee costs less than a euro while a plateful of patatas bravas, chocos, gambas or more is only a few minutes away. And if you’re feeling too hot? Try refreshing gazpacho instead. For reasons I’ll never quite understand, Spain has a reputation as a sand-and-sea destination and that’s about it. Visitors tend to cling to the coast and never realise just what they’re missing. Hiring a car and hitting the roads is the first step towards fixing that. Stop off in one of Andalucia’s pueblos blancos, for example, and you’ll probably be the only foreigner in town. The scenery is stunning indeed. I didn’t have to go driving to notice that.